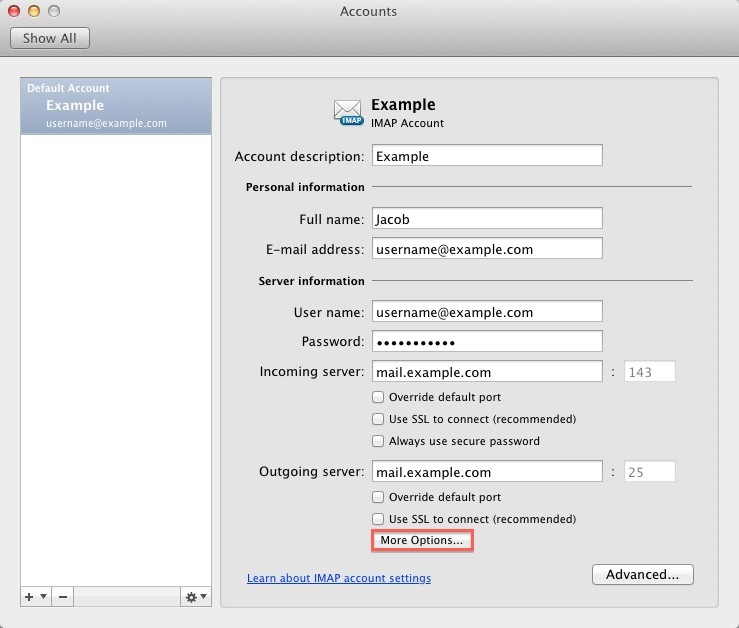 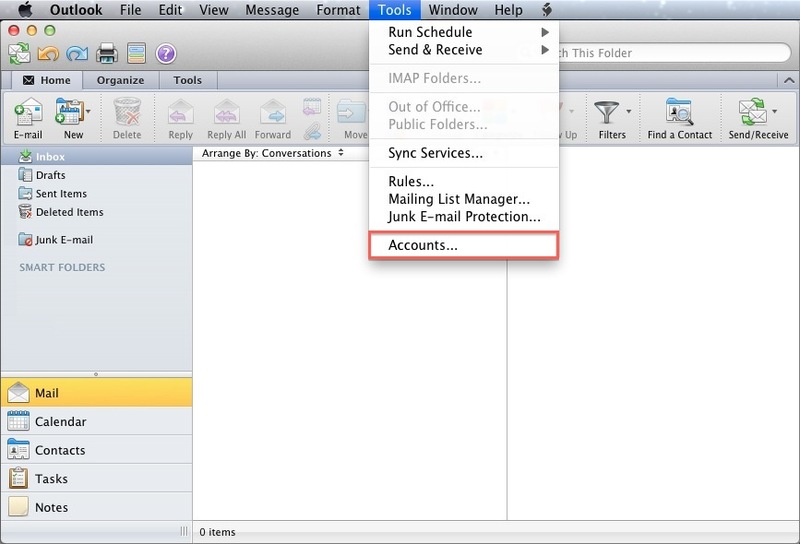 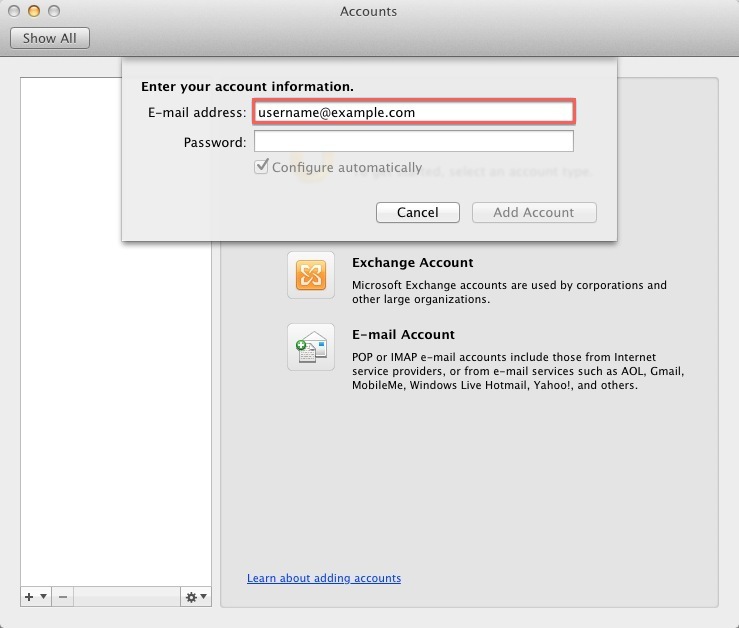 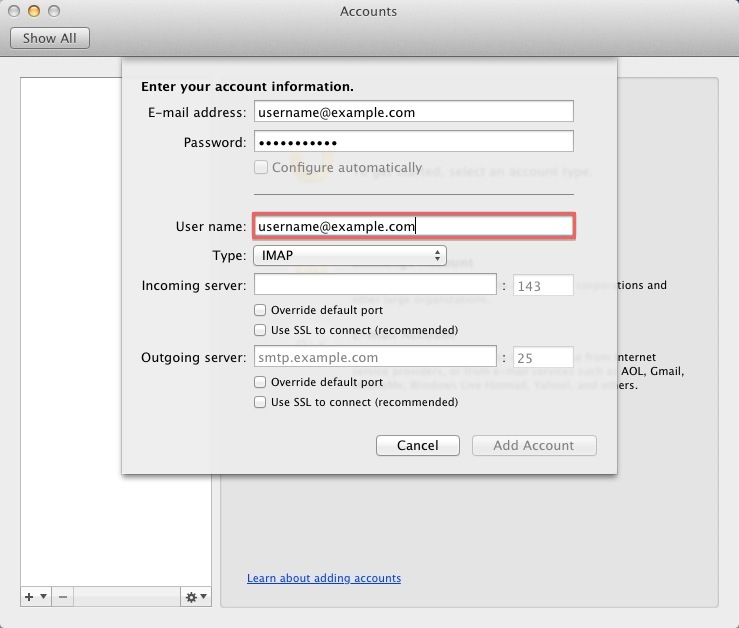 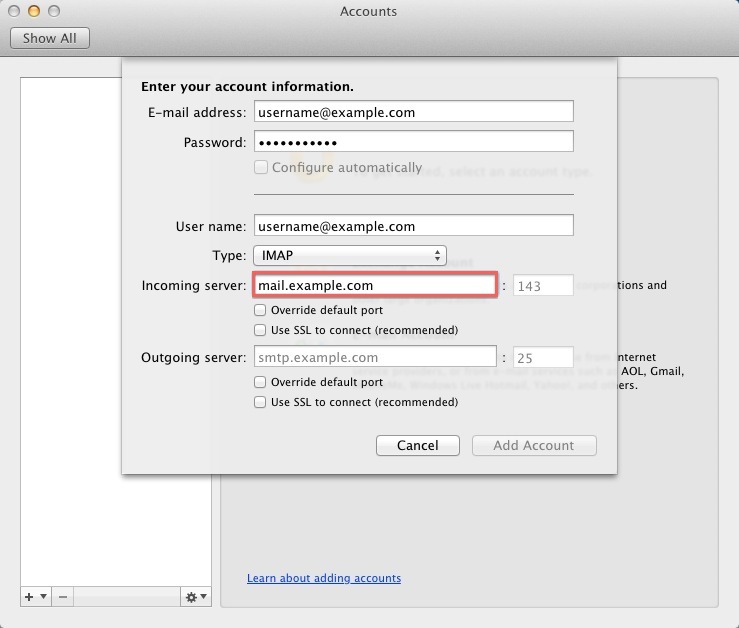 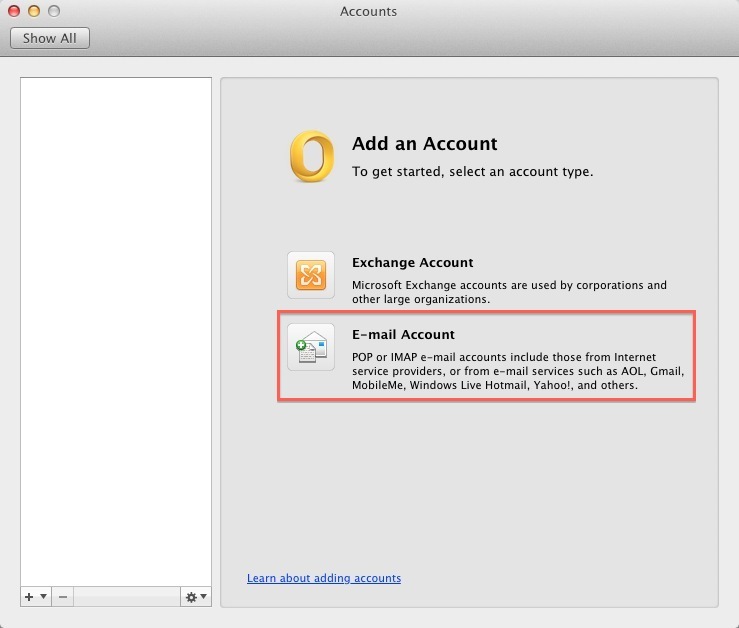 This article will show you how to setup your email account in Outlook 2011. 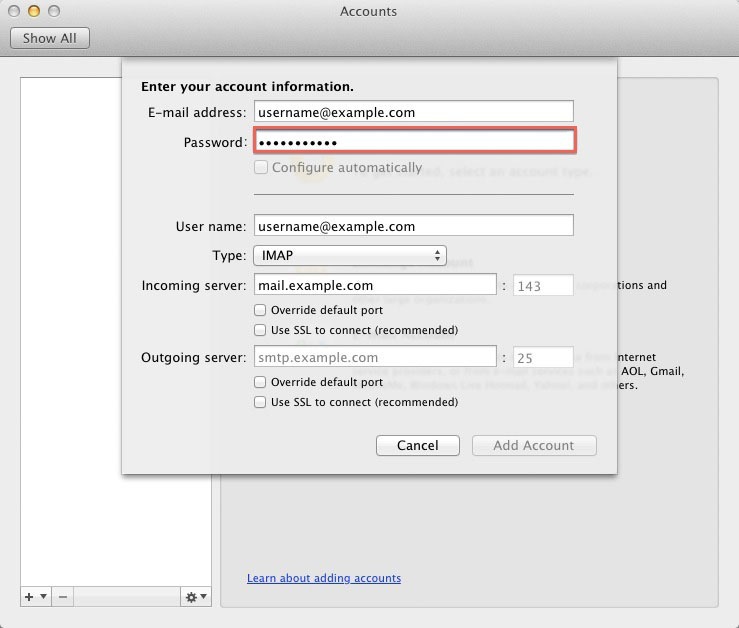 Enter the password for this E-mail account. 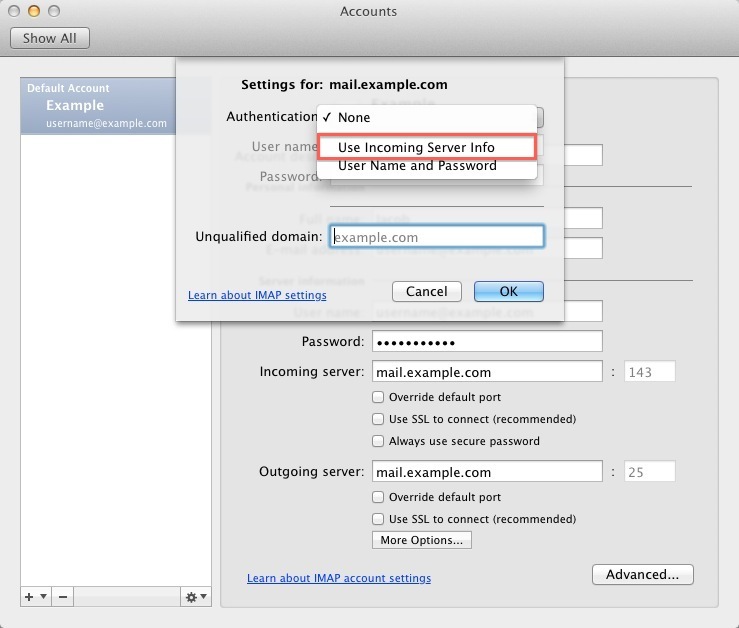 You may need to check the box to "Override default port" and use port 26 instead of the default port 25. 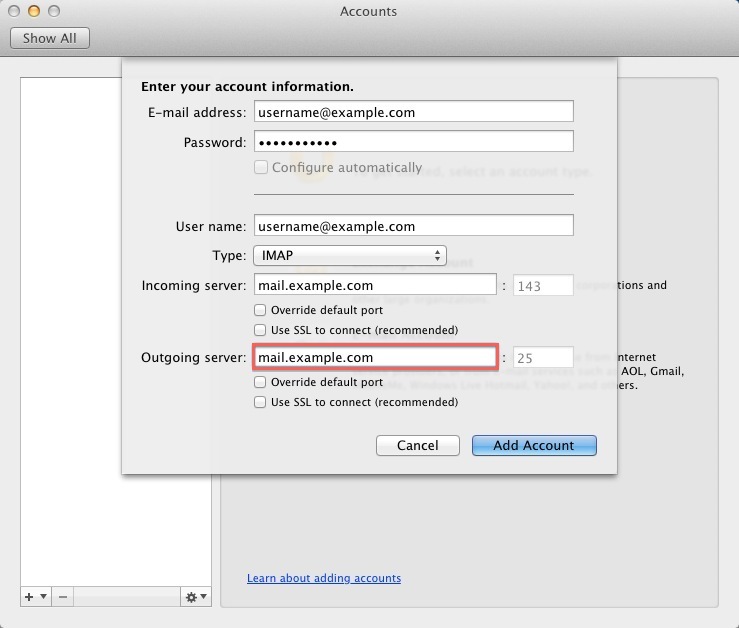 From the Authentication drop-down menu and choose "Use Incoming Server Info"
Outlook 2011 is now correctly configured to send and receive emails.